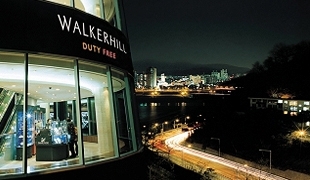 The Walkerhill Duty Free is located within the Sheraton Grand Hotel and W Hotel. It was newly opened under this new name in 2000 after it was renovated. 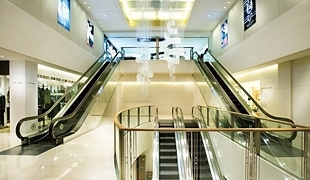 The total shopping area is 3760 ㎡, and it consists of 1 basement and 2 floors above the ground. From among all of the duty-free stores in downtown Seoul, it is known to have the most beautiful cityscape. Shoppers can enjoy a panoramic view of the Hangang River while sitting in front of big windows on the 2nd floor. The Shilla Duty Free has a total of 4 stores, including an Internet duty-free store. Its first store was opened in Jangchung-dong, Seoul in July 1986. The total area is 4958.7 ㎡. It boasts high-quality facilities and differentiated hotel style services, such as a guest lounge and cafes. 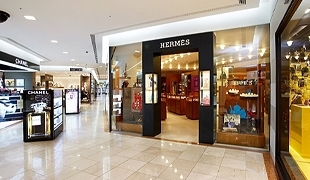 It organizes its shops, such as cosmetic, watch, jewelry, gift, and multi shops, in addition to a large-scale brand boutique shop, according to theme in order to provide a pleasant space and effective shopping for customers. It has a large guest lounge on the rooftop to provide a resting space for shoppers, and it offers free valet parking services. 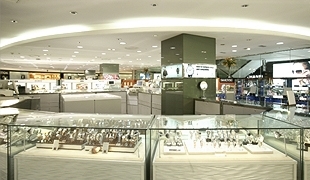 The Donghwa Duty Free is located on Basement I of the Gwanghwamun Building in Sejong-ro, Jongno-gu. It is the oldest duty-free store in Seoul. As it is located within a 3-5 minute walking distance from Gwanghwamun Station (Subway Line No. 5) or from City Hall Station (Subway Lines No. 1 and 2) getting there is very convenient, as compared to other duty-free stores. As it is located near famous tourist attractions such as Gyeongbokgung and Deoksugung Palaces, Cheonggyecheon (Stream), and the Seoul Museum of Art, shoppers can enjoy both shopping and sightseeing. Valet parking is provided free of charge for all customers. This duty-free is operated by Lotte Department Store. It has a network of 9 branch stores nationwide, which include the Lobby Store, the World Store, the Coex Store, the Incheon Airport Store, and the Gimpo Airport Store, in addition to its main shop and Internet duty-free shop. The Lotte Duty Free Shop is located within Lotte Hotel, so foreign guests of Lotte Hotel enjoy duty-free shopping before their departure. It sells a wide variety of products, such as cosmetic, perfume, fashion, and miscellaneous products, as well as electronic products and liquor.